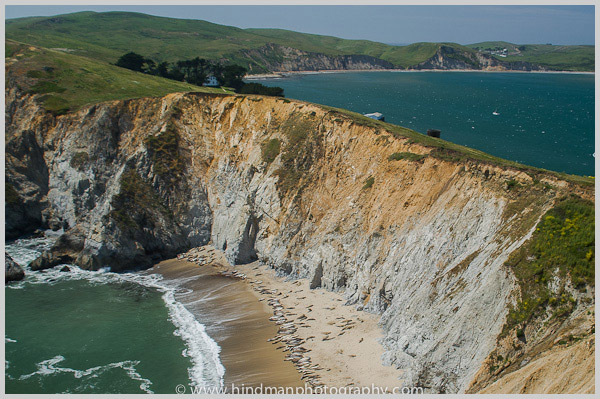 Point Reyes National Seashore is located approximately 30 mile WNW of San Francisco on the Pacific coast. I am drawn to the windswept, open landscape on this peninsula. Part of the trail out to Chimney Rock skirts atop cliffs that drop to the ocean below. My first time hiking out there I veered off the trail just far enough to peek over one of the cliffs and was delightfully surprised to see this natural pattern on the beach below me created by Elephant Seals. They were just hanging out together on their own private beach! 20 Apr	This entry was published on April 20, 2012 at 17:09. 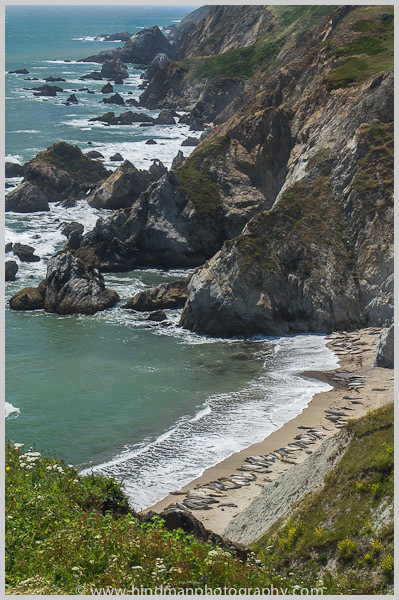 It’s filed under Coast, Nature, Patterns and tagged beach, California, Elephant Seals, hiking, Marin County, Pacific Coast, Point Reyes National Seashore. Bookmark the permalink. Follow any comments here with the RSS feed for this post. Nice pictures. It reminds me of Point Lobos near Carmel. I lived in Northern California for several years, about 2 hours from Point Reyes. I used to ride my horses along the beach and there is something amazing striking about it. I am not a “beach person” but I do enjoy the more barren shores of the Northwest-there is something dangerous and magnificent about them. Especially when you consider the forces that made them and how it could all change in the blink of an eye.